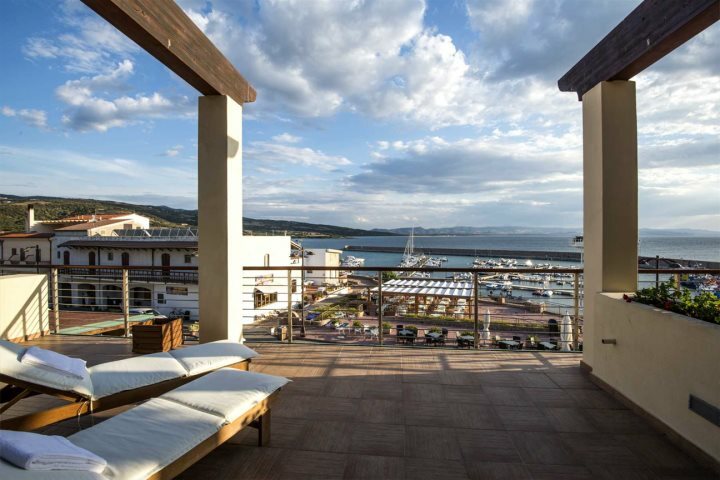 A quaint little village with a small selection of shops and restaurants, Isola Rossa is a lovely place for a relaxing, care-free holiday in Sardinia. Fronted by a beautiful sandy beach and small marina, I recently spent a day here enjoying the views and visiting a couple of hotels in our collection. Isola Rossa itself is located within the province of Olbia-Tempio on the northern side of Sardinia. A quiet resort perhaps better suited to couples, there are some lovely restaurants along the seafront which offer the perfect setting for a romantic evening meal. Panoramic views of soft sandy beaches can be found as you look along the coast to the south, and impressive, craggy red rocks form a protective shelter to the north, where there’s a collection of boats moored. These reddish coloured rocks are from where this place takes its name – literally meaning ‘red island’. 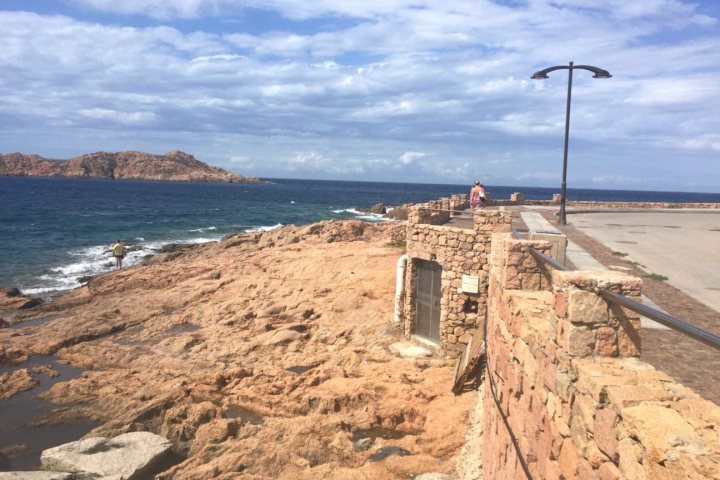 If you follow the rocks around the coastline, you’ll get to Torre Spagnola – a Spanish tower built in the late 1500s, used to protect the local coastal areas from Saracen pirates. Be sure to bring your camera along as there will be plenty of great photo opportunities! 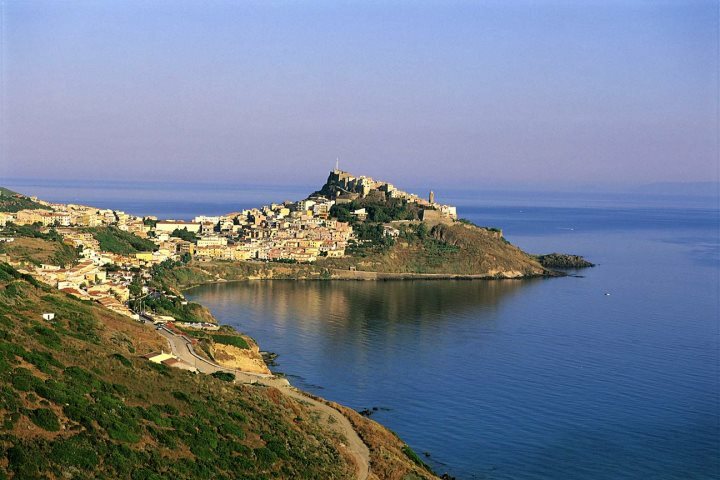 If you’ve got a hire car and would like to head out exploring, you’re not too far from Castelsardo, a picturesque Genoese hilltop town, or if you’d like to get your adrenaline pumping, head south to Li Junchi’s impressive expanse of white sand and have a go at some windsurfing and/or kitesurfing. 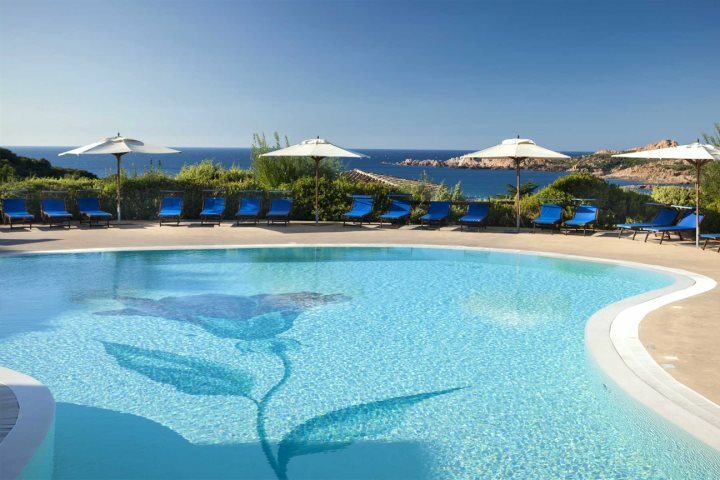 Just 1km from Isola Rossa, Hotel Marinedda offers a fantastic luxury holiday in Sardinia. I was given a tour of the hotel upon arrival, and I can say it’s well-worth opting for a sea view room – the vistas are incredible. And, if you like to indulge in a spa treatment or two you won’t be disappointed with the facilities and sheer size of the spa at Marinedda. 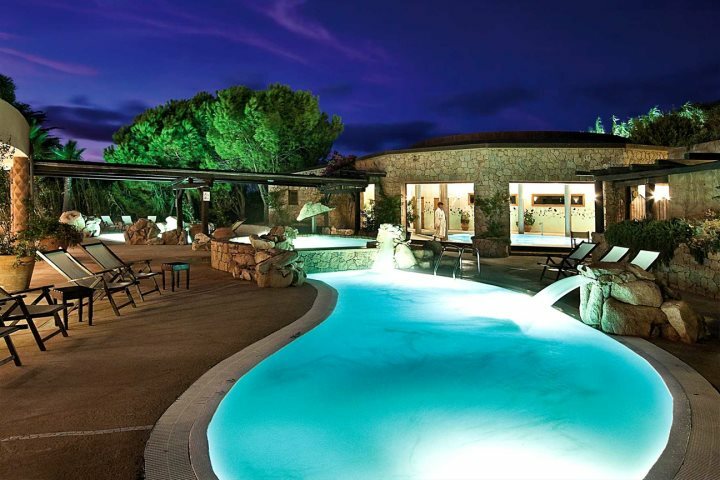 With three thalassotherapy pools all at different temperatures, a variety of treatment rooms offering almost every therapy you can think of, a 24hr gym and a huge steam room and sauna, you could easily spend an entire day completely unwinding here. The private beach is also pretty magnificent, you can walk all of five minutes to the bottom of the hotel and across the road to get there, or alternatively catch a ride on one of the hotel’s buggies, but what you’re met with is a long strip of white sand and inviting turquoise water. The terrace is also a wonderful place to catch the sunset – all whilst enjoying a Piña Colada and some tapas. 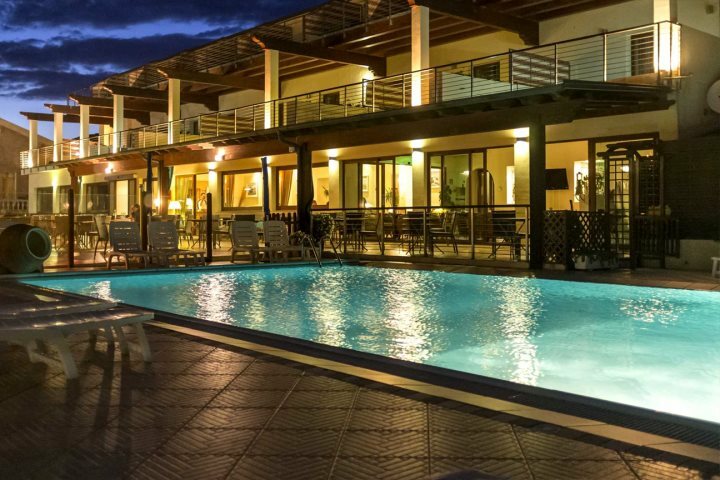 Located right in the centre of Isola Rossa, Hotel Corallo is a quiet property with only 35 guestrooms. I would recommend upgrading to a Deluxe Room, as you get a lovely large terrace and great views across the marina and out to sea. 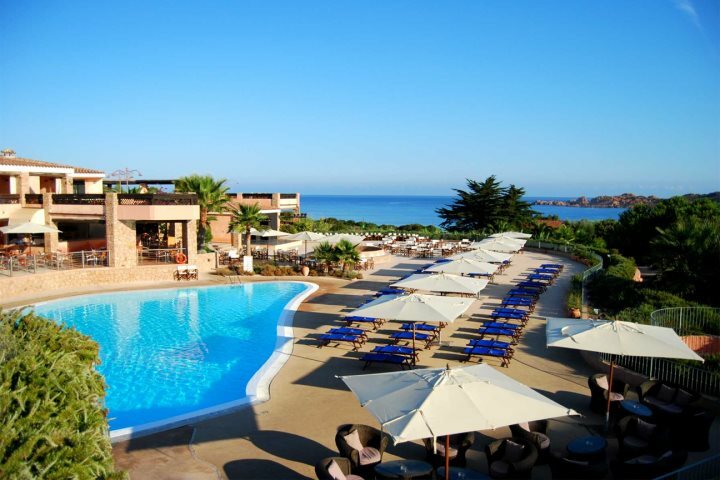 The pool and small garden area are ideal places to soak up the sunshine whilst losing yourself in a good book, or alternatively, you’re just a skip and a hop away from the stunning beach. Overall I would recommend Isola Rossa for a quiet beach break, but I would also say it’s beneficial to hire a car to do some exploring of the local area.